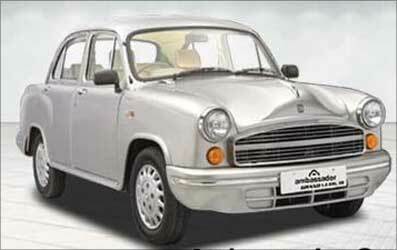 While the good old Amby will go in for a facelift, Hindustan Motors has lined up a slew of Mitsubishi vehicle launches. The monthly sales of its bread-and-butter Ambassador slipped to just around 800 in the April-February period, way behind comparable models. 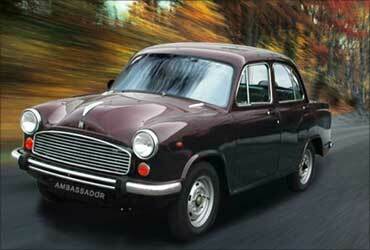 And Hindustan Motor's market share nosedived to a minuscule 3 per cent of the Indian mid-size sedan market. On top of that, managing director Ravi Santhanam, who was brought in from Mahindra & Mahindra six years ago to bolster the Kolkata-based company's efforts to counter a fast-eroding market share, put in his papers. 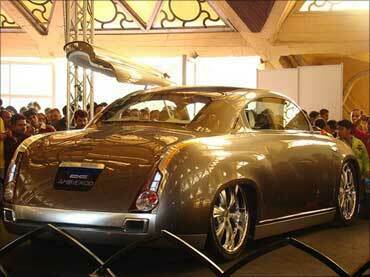 But Hindustan Motors, owned by the GP Birla-CK Birla group, is fighting back. While the good old Ambassador, which improved its sales to over a thousand in March, is being spruced up with new variants, HM is also launching bookings for the niche sports car Mitsubishi Lancer Evolution X, popularly known as Evo X, in June-end. The company has a technical collaboration with Mitsubishi Motor. "Evo X has been in the minds of the Indian consumer for a long time now. It is a fantasy sports car that has caught the fancy of speed enthusiasts in movies like the Fast & Furious where it featured," says Pritam Saikia, marketing head of HM-Mitsubishi Motors. Evo-X, HM hopes, would help in creating a contemporary image for the company. "We are not looking at huge numbers. We plan to sell around 50-75 cars in India per year. 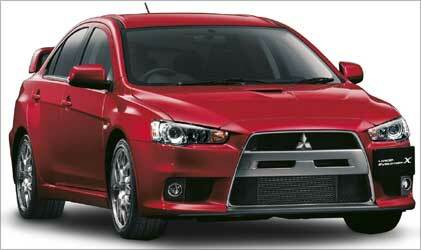 It is a car that boosts the brand equity of Mitsubishi in India. It has the rally DNA that outlines Mitsubishi cars in the country." Image: Mitsubishi Lancer Evolution X. The four door, five seater saloon is fired by a two-litre, 280bhp, 16 valve, four cylinder petrol engine which is more powerful than many of its competitors. Priced at Rs 40 lakh (Rs 4 million), the car is pegged against the likes of Nissan 370Z, the BMW ZX4. It will be a completely built unit that currently attracts a 110 per cent import duty. Also on the launch pad is a new variant of the SUV Outlander, later this month and the Pajero Sport in October. 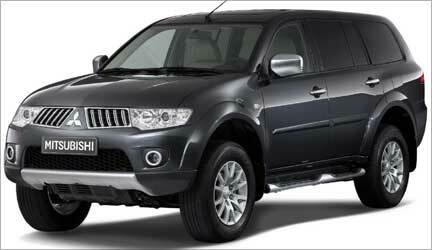 The new 2010 Outlander, priced at around Rs 20 lakh, will have a sporty look and a 2.4 litre engine. The looks have been inspired by the Outlander GT prototype displayed at last year's New York International Auto Show. "We have sold all the 100 preview models that we had sent to malls and multiplexes for display," Saikia says. Riding on the back of these new launches, the company aims to boost its sales to 6,000 units this financial year from 4000 units last year. 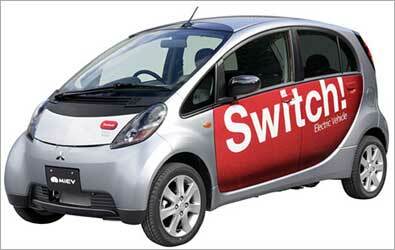 Mitsubishi is also planning to bring its global electric small car, the MiEV, by 2014-15. Saikia says, "The infrastructure has to be ready for the electric car to roll out in India. We are working on issues like having an economic, disposable battery instead of creating an infrastructure of charging stations all across." HM manufactures the Ambassador in its Uttarpara plant in West Bengal and the Mitsubishi line of vehicles at its Thiruvallur plant near Chennai. Post recession, sales of the Ambassador too has shown some buoyancy. "The sales of taxis had dipped by around 55 per cent during the economic downturn, but the demand is back. We are now struggling to meet the demand and are working on ramping up production," says Moloy Chowdhury, executive vice president of HM. The challenge is to work on the vendor base and ensure a steady supply chain. "We have now managed to meet almost 90 per cent of the requirement. We sold 1,075 Ambassadors in March alone and are trying to reach a figure of 1,200 cars per month as the demand is in excess of 1000 per month," Chowdhury says. Around 65 per cent of the Rs 500,000 mid-sized sedan sells as taxis, around 20 per cent to government institutions and departments, while the rest goes to individual consumer. HM has chalked out a growth strategy in line with the car's brand image. Image: An Ambassador redesigned by DC Design. Chowdhury says, "We are all set to roll out the BS-IV compliant LPG variant of the car later this month in the Kolkata market and then take it national. With the autorickshaw LPG conversion drive, the Bengal market now has sufficient supply of this fuel. The new car will only retain the exterior look of this vintage car, while it will offer a completely different technology in terms of engine power and fuel efficiency. As a result, the new Ambassador will cost around 15-20 per cent more." As the new emission norms are introduced to cut pollution, the company expects the sales of the CNG variant of the car, the Ambassador Grand, to pick up as well. "By 2011-12, CNG would be available in all the major cities of the country, and we are very bullish on the technologically upgraded Ambassador to become the future tourist vehicle."